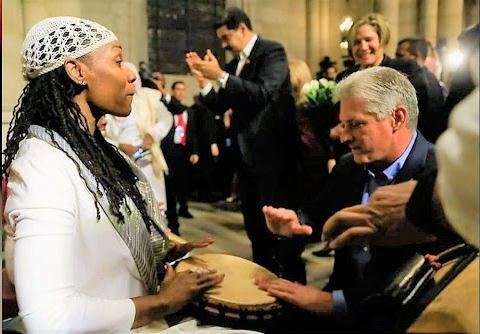 Cuban President Miguel Díaz-Canel Bermúdez shares a drum with cultural activist Sister Indigo, at Riverside Church. ‘A better world is necessary, ’Díaz-Canel said in closing, ‘and it is indeed possible.’ Venezuelan President Nicolás Maduro Moros seen clapping in the center. Entitled “Cuba Speaks for Itself!” the event was organized by the September 25th Welcoming Committee, consisting of various New York and New Jersey solidarity organizations. The evening began as thousands, predominantly Brown and Black, gathered outside historic Riverside Church, a few blocks from 125th Street in Harlem. Some had traveled to the rally from distant cities. Spanish was heard as often as English. 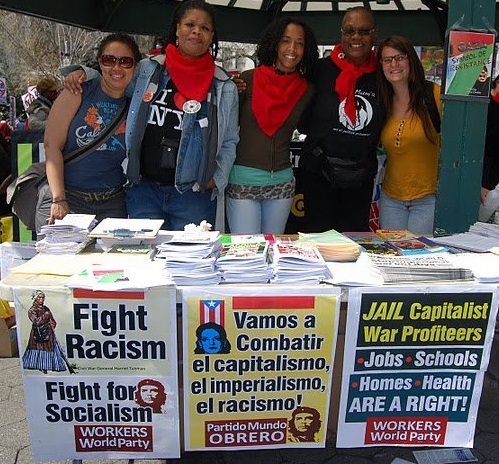 It was a broad swath of the movement, embracing the opportunity to greet old and new comrades. “I came to New York, to the United Nations, to bring the truth of the Venezuelan people. I also reiterate our love and commitment, and share this moment with our brother Miguel Díaz-Canel and the people of Cuba,” Maduro stated. President Miguel Díaz-Canel began his speech by reiterating the common struggle of Cuba and Venezuela. 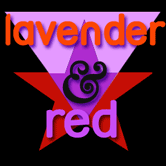 “Today at the United Nations, two sister peoples raised their voices. Venezuela denounced all the aggression to which it has been subjected and also ratified its decision to continue the Bolivarian Revolution, as a legacy faithful to Comandante Hugo Chávez. “Cuba also raised its voice with Venezuela, to support Venezuela, to support Nicaragua, to support Puerto Rico, to support Latin America, to support the Palestinian and Saharan people, and to support all the just causes of the world. Díaz-Canel said that on their way to Riverside Church, the delegation drove through the Harlem community, past Hotel Theresa, where, in 1960, Cuban President Fidel Castro Ruz had stayed with the Cuban delegation to the U.N. General Assembly. Díaz-Canel reminded everyone that Fidel had said: “I’m going to Harlem because that’s where my best friends are.” At the Hotel Theresa, President Castro held meetings with Malcolm X, among others. When Fidel Castro again traveled to the U.N. General Assembly in 2000, he spoke to a huge rally at Riverside Church. There, he announced the opening of a medical school in Havana, Cuba — the Latin American School of Medicine (ELAM). This Cuban medical school offers scholarships to those of limited means. Its only stipulation is that the graduates should return to their home countries to practice in underserved communities. Since then, the school has trained 28,500 physicians from 103 countries. Special mention was made of Fidel’s friend, the late Rev. 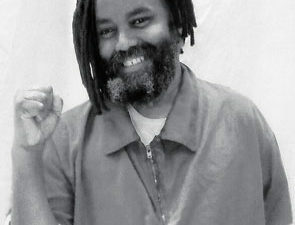 Lucius Walker, who initiated the Interreligious Foundation for Community Organization. This U.S. organization receives applications to attend the medical school in Cuba. His daughter, Gail Walker, continues that work as executive director of IFCO. At the beginning of the program, a large contingent of U.S. graduates from ELAM welcomed the new Cuban president to the Riverside meeting. Two young doctors — Joaquín Morante, a pulmonary care physician practicing at Montefiore hospital, and Sitembile Sales, an internist at a local health clinic serving the building and janitorial union Service Employees, Local 32BJ — thanked Cuba for its commitment to train young people for the benefit of those most in need. Dr. Joaquín Morante talked about Cuba’s international campaign of medical care. He said that doctors trained in Cuba were able to do relief work in Puerto Rico after Hurricane María. Among the audience was a delegation from a nurses’ union whose t-shirts were emblazoned with demands for solidarity with Puerto Rico. President Díaz-Canel denounced “the unjust blockade that the U.S. has imposed on us for almost 60 years,” a blockade that constitutes an obstacle to the development of the Cuban people and has caused huge deprivation to Cuban families. There were ongoing chants of “¡Cuba sí! ¡Bloqueo no!” throughout the program. Above all, “our efforts of sharing and sacrifice over several decades have had an impact in several continents.” Since the revolution, 42,000 Cuban doctors, engineers, agronomists and sports professionals have provided training in Africa, Asia and Latin America. The “Yo Sí Puedo” teaching method has been used in 30 countries and has taught 10 million people to read. He said Cuba’s greatest contribution was to support “African liberation movements, safeguarding Angola sovereignty, fighting for the independence of Namibia and providing a demolishing blow to apartheid South Africa’s war machine. “Cuba comes to the U.N. General Assembly to promote cooperation and solidarity as opposed to threats, competition, racism and selfishness — with the authority of a country which turns words into concrete actions. 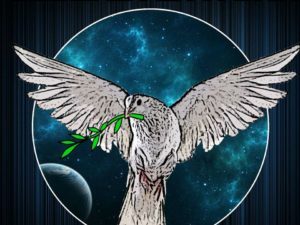 “Those keeping peace in suspense by expanding arsenals with increasingly sophisticated weapons, promoting conflicts, threatening invasions” are increasing the suffering of those who bear the cost of wars. Díaz-Canel expressed gratitude to people in the U.S., especially in the Cuban community, for their support of the Cuban 5 and Elián González.